A long while back, I reviewed the Uwell Nunchaku, (review here) which bore a strong resemblance to its namesake weapon. Well, iJOY wasn’t going to miss out on the party, adding the all-new Katana 81W mod kit to its arsenal. And yeah, this tall, slender vape mod definitely looks like the shaft/handle of a katana sword. But more importantly, it resembles a rock solid, integrated battery device that blew me away with its steady power output. 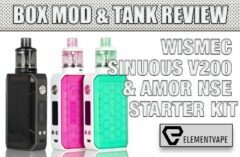 Throw in a damn good tank, and you have a kit worth considering for your next round of vape mail. 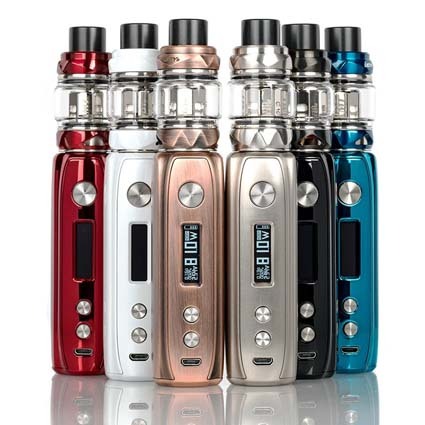 The iJOY Katana 81W TC Starter Kit is the latest mid-range performance system, utilizing the advanced IWEPAL chipset, full-scale temperature control suite, and paired with the mesh-coil Katana Sub-Ohm Tank. 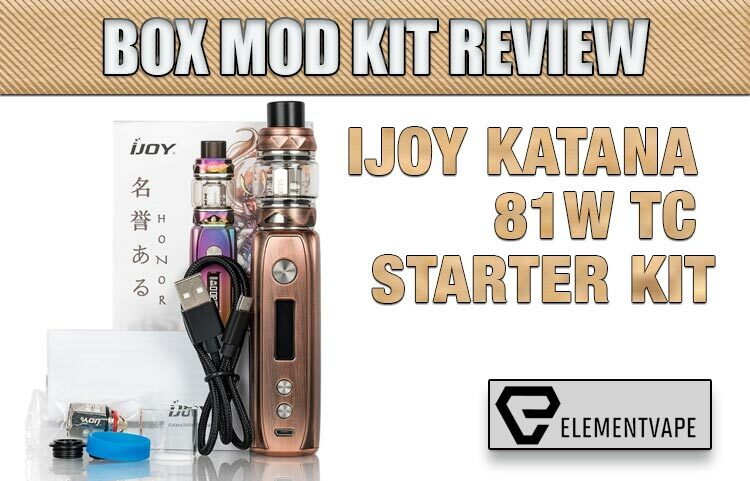 The iJOY Katana ALM 81W has an ultra-responsive firing speed and can achieve wattages of up to 81W. 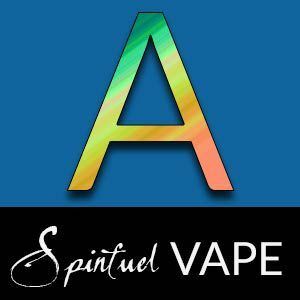 In addition, the IWEPAL Chipset unlocks a full range of temperature control options for advanced users to dial in the perfect vape settings for a satisfying experience each and every time. The iJOY Katana Starter Kit is constructed of a durable zinc-alloy chassis construction and hosts a 0.96″ OLED display screen that can withstand small to moderate drops. Furthermore, the vape kit comes paired with the iJOY Katana 25mm Sub-Ohm Tank, featuring access to the iJOY Katana KM Coils, a set of mesh coils coming in at 0.2ohm that generate dense clouds and tasty vapors. I was fortunate to get two different Katana kits for testing (Thanks Dave!). But I only got to use the piano black one, since my wife commandeered the brushed brass color model. And rightfully so, because the slightly iridescent metal exterior was nothing short of stunning. My wife knows what’s good, and this was definitely a smart grab on her part. But the beauty isn’t limited to the metal frame. The construction and machining is top-tier from head to toe, with awesomely responsive buttons, bright OLED screen and ample venting throughout the device. I DO kind of wish the screen was a little more impressive – monochrome, blocky OLEDs are fine, but something a little easier to read would have done wonders here. The narrow display size seems a little odd, considering how much more real estate surrounds it, but I suppose iJOY had to work with the chipset at hand. Of course, that IS a vaunted IWEPAL chipset, so maybe I’m being a little too forgiving of the antiquated display… something to ponder for the Katana 2. 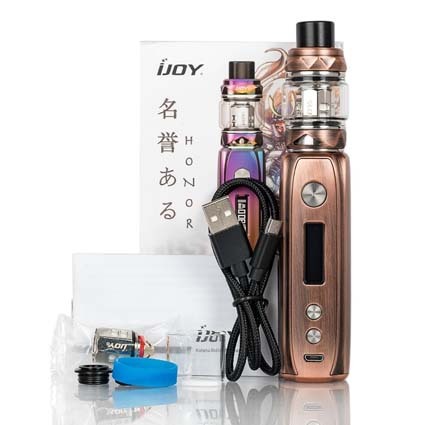 That aside, there’s nothing on the Katana mod that seems even remotely sub-par – from 510 connector to USB port placement, iJOY took a compact, slender device and made it as usable as possible, with limited wiggle room on the design table. We’ve reviewed the Katana tank before – or at least it seems like it. The Katana is a damn good sub-ohm tank, with a nice set of mesh coils (that I believe are interchangeable with several other iJOY tank series). It vapes great, and the matching finish only completes the visual appeal when used together. But if you did a blindfolded vape test with the iJOY Katana, Captain and Diamond tanks, I guarantee you wouldn’t be able to tell the difference. 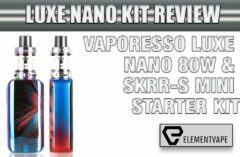 They offer the same open draw, snug fitting hardware and flavorful vapor production – all good things, but did we need to create another SKU just to put something new on shelves? Eh, not likely. But, for the sake of the review, iJOY’s commitment to quality, cost-effective vape coils is evident here. The 0.15-ohm KM1 mesh coils (there are two in the kit) are immediately flavorful, with ample vapor production and good longevity. I managed roughly 8-9 days per coil before they tapped out, and that’s with heavy, heavy use during testing. I can imagine a more casual vaper getting a few more days, easily. To me, the true standout feature of the Katana comes in the outstanding 3,000mAh integrated battery. With fast charging and all-day performance, this cell manages to keep the party going long after most batteries would call it a night. I had to check the specs several times to make sure “3,000” wasn’t a typo, since I continue to enjoy near-all-day performance without any noticeable drop in vape quality. 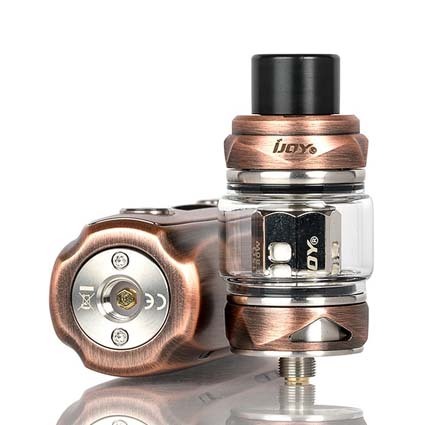 Very impressive, iJOY. I don’t particularly like pen/stick mods, so I was hesitant to give the Katana a whirl. But despite the narrow design, the mod actually feels and operates more like a standard box than a pen. Maybe it’s the rounded edges or sculpted side panels, but the Katana doesn’t give off that awkward pen vibe, which improved my enjoyment tremendously. Because the button placement is very similar to the awesome Shogun mod, I felt right at home with the Katana, and actually think operating the Katana was easier and more comfortable in many ways. Using one hand, I was quickly “three-clicking” my way through all of the Katana’s extensive menu options, switching from wattage to temp control to bypass in seconds, not minutes. Temp control was flawless with all coil types. Wattage mode was smooth all the way to the device’s 81-watt max. Bypass is bypass. But the pod mode intrigued me, since it is basically a low-power preset to use the Katana with iJOY’s pod adapter (not included). While that doesn’t seem all THAT impressive on paper, you have to love iJOY’s efforts to make the Katana a true “all-encompassing” experience for vapers who don’t want to lug multiple devices with them. I didn’t get to test pod mode, since I didn’t have the adapter or any JUUL-type pods lying around. But if I ever get around to it, I’ll certainly update this review. 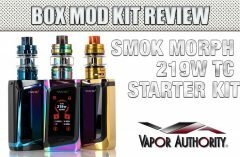 Overall, the Katana kit is just a well-designed, high-performing mid-range mod that has a lot of appeal to a wide range of vapers. Any quibbles I have with the kit are minor, and based on preference, not flaws in design. My biggest complaint about the Katana was the screen… a pretty good indication that this is a really good mod kit, regardless of where you fall on the vaping spectrum.